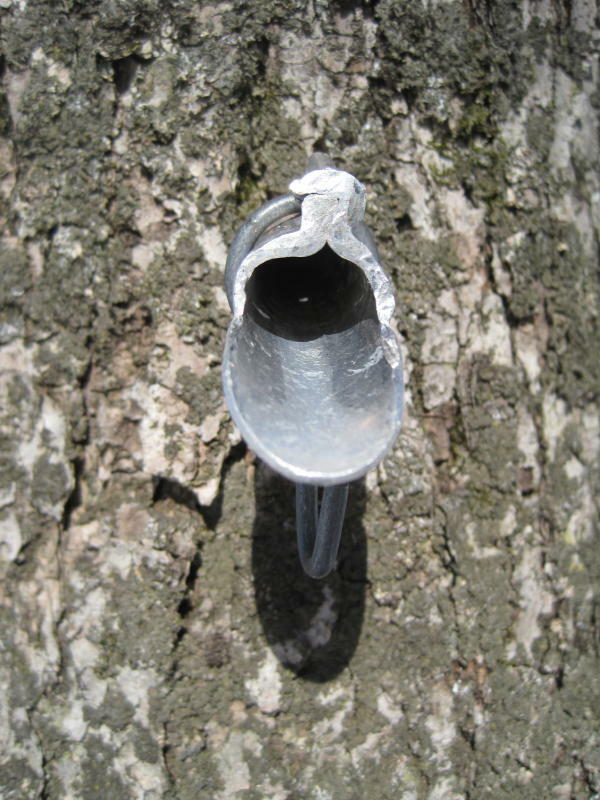 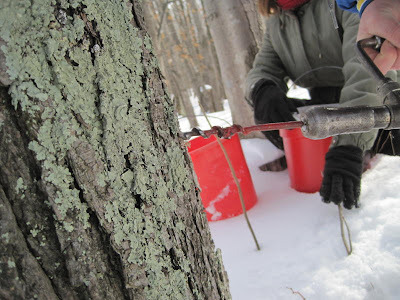 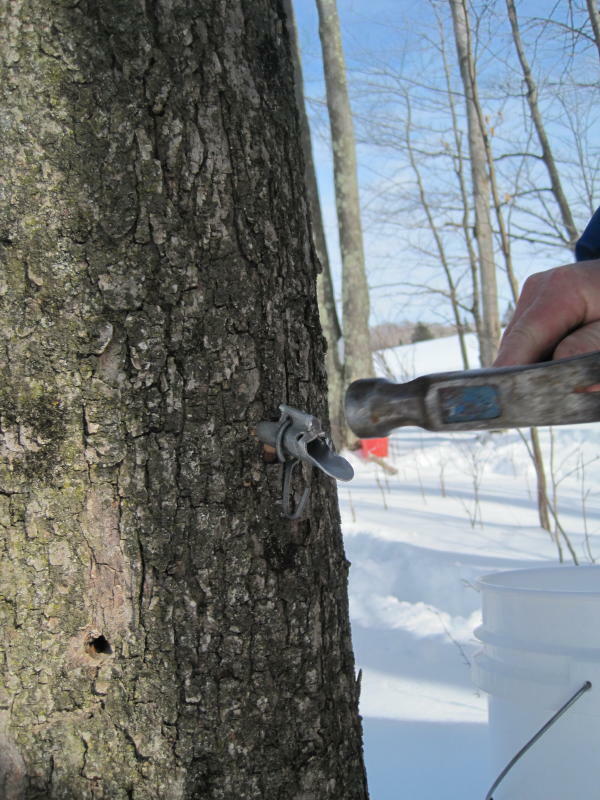 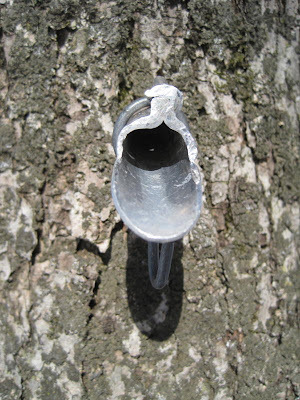 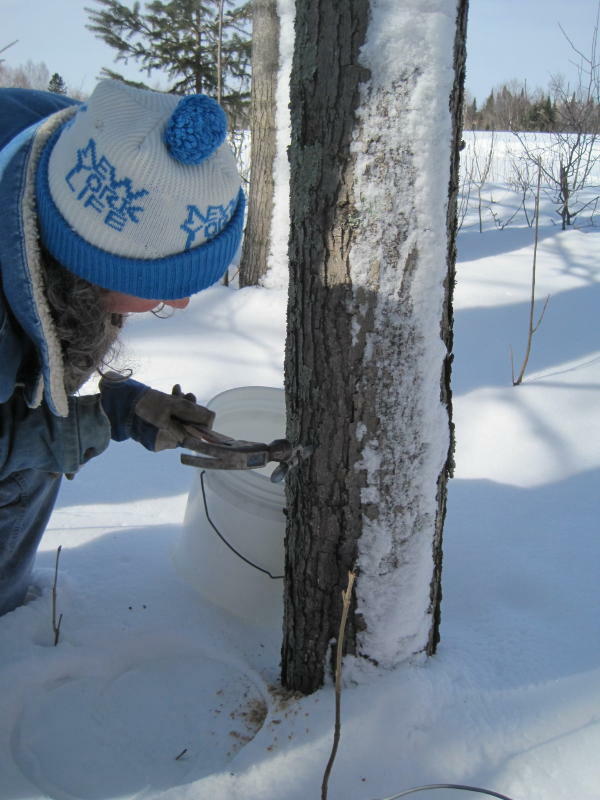 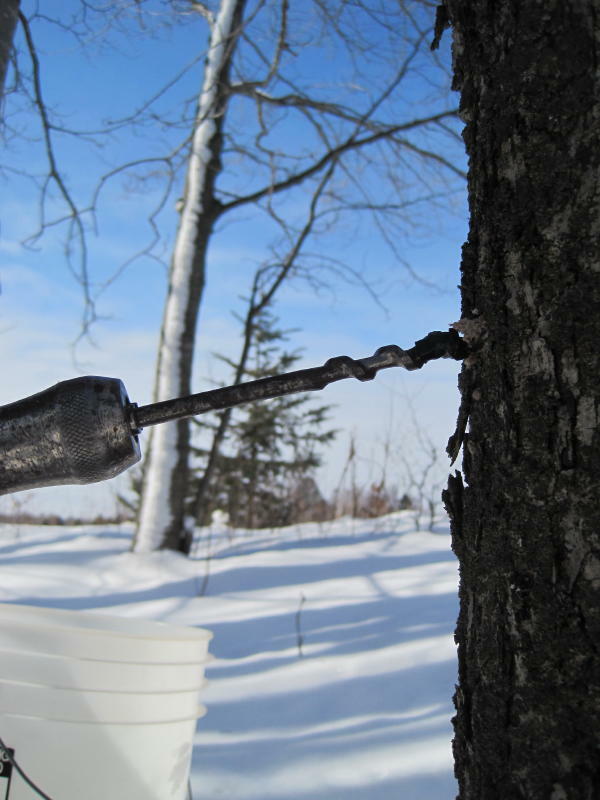 We'll be making syrup with our neighbors in their beautiful sugar bush again this year. Sunday morning was beautiful with its sunny blue skies. 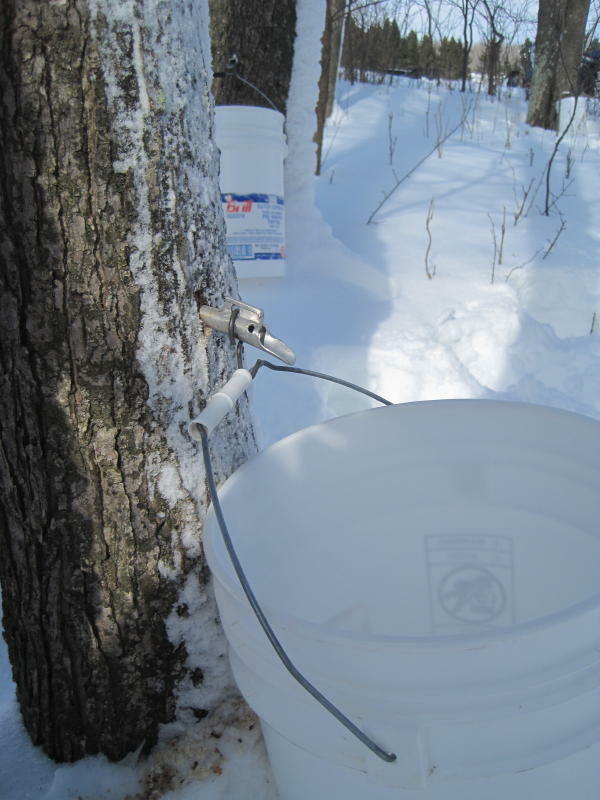 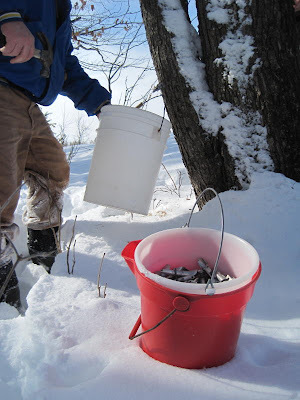 So we headed into the woods with a hand drill, a bucket of spiles and a sled full of sap buckets. 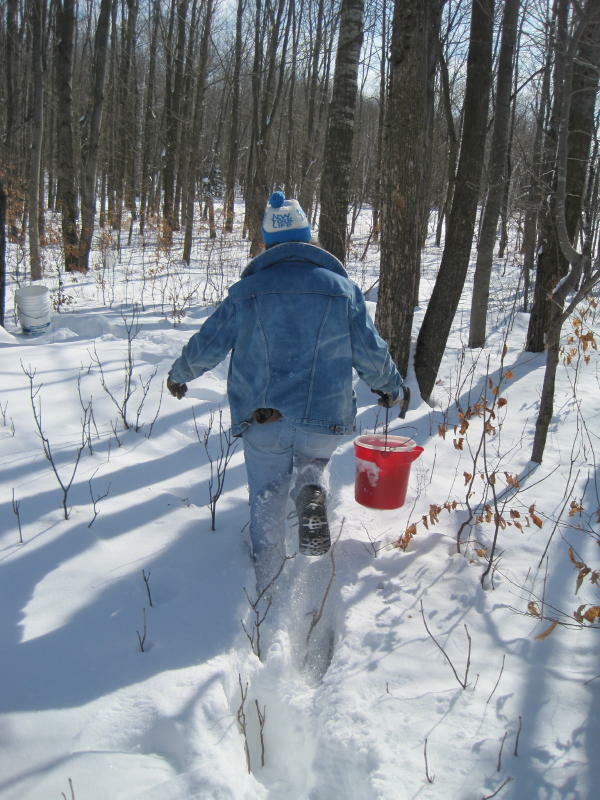 This is a week and half earlier than last year, but it's been that kind of a winter. 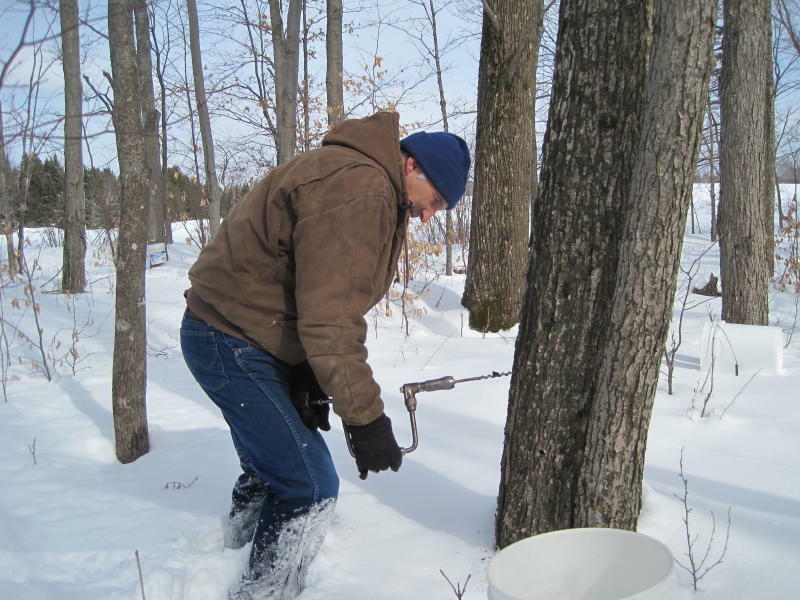 though they tend to be warmer than we are here in the coldest part of Wisconsin. drilling each hole, pounding in the spile, and hanging each bucket as we went. 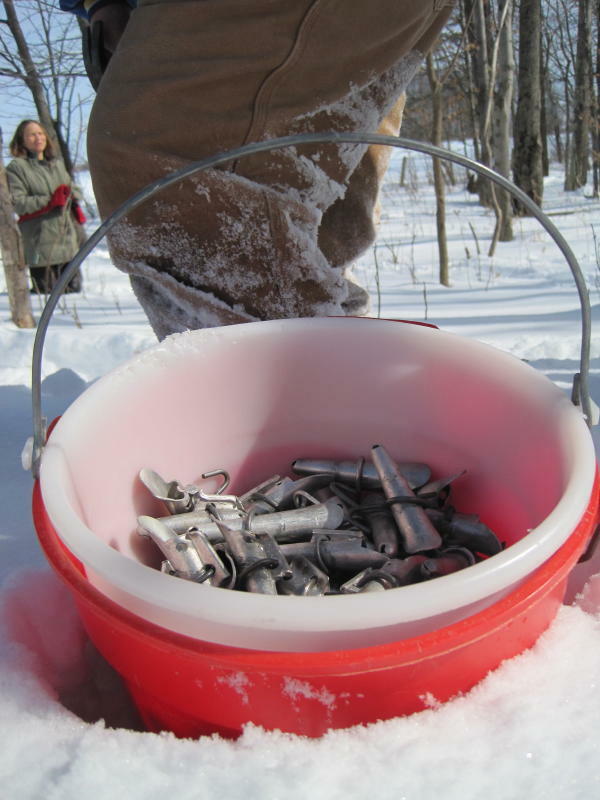 make it worth a little extra effort.